Congratulations to Dr. Donna Corvette, M.D. for being voted by Virginia Living readers as one of the best dermatologists in Eastern Virginia. 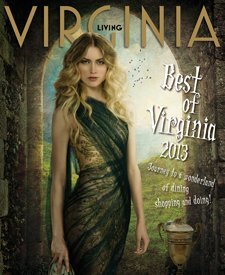 Over 25, 000 readers participated in Virginia Living Magazine’s annual survey to find the best of the best in Virginia. Dr. Corvette is deeply honored for the outpouring of support shown by her patients and community. Thanks for making Dr. Corvette one of the best in Virginia for 2013!